The Tesla Model S has been on the market for years now, and I think many of us have started treating some of its insane benefits as “old news.” Of course, the Tesla Model X is quite new and basically has the same stunning benefits, but it’s an extension of the Model S and I’d say the story is basically the same (we take some of its crazy benefits for granted). 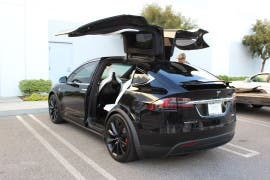 A couple of weeks ago, a GMC Yukon plowed into a Tesla Model X, crushing it, yet the passengers walked out unscathed and super thankful that they were in a Tesla. 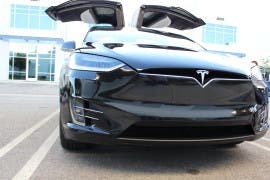 That combined with other recent Tesla news got me thinking, “What’s the best reason to buy a Tesla?” This question got me thinking more about these “old news” benefits that Tesla vehicles offer. Of course, in large part, the answer to the question above is going to come down to your priorities, but below are some of the top potential reasons in my mind, all of which I think could be the #1 draw for certain populations. Update: It hit me a bit late that I could poll the community on this question. You can answer the poll here or on the bottom of the article. It’s hard to not say that safety is the best reason to buy a Tesla. After all, the other points below can’t trump having your life or your family members’ lives saved. As indicated years ago, the NHTSA gave Tesla the best safety rating in history. 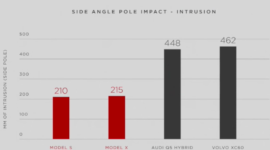 The Tesla Model X embarrasses other SUVs in terms of overall safety, and it isn’t that far off from the Model S (which is safer basically because it’s a sedan). As the accident with the GMC Yukon and several other accidents we’ve reported on over the years show, Tesla drivers who get into unfortunate, severe accidents are hugely thankful they got a Tesla. All of that said, most drivers don’t get into severe accidents, so let’s move on to the other options. 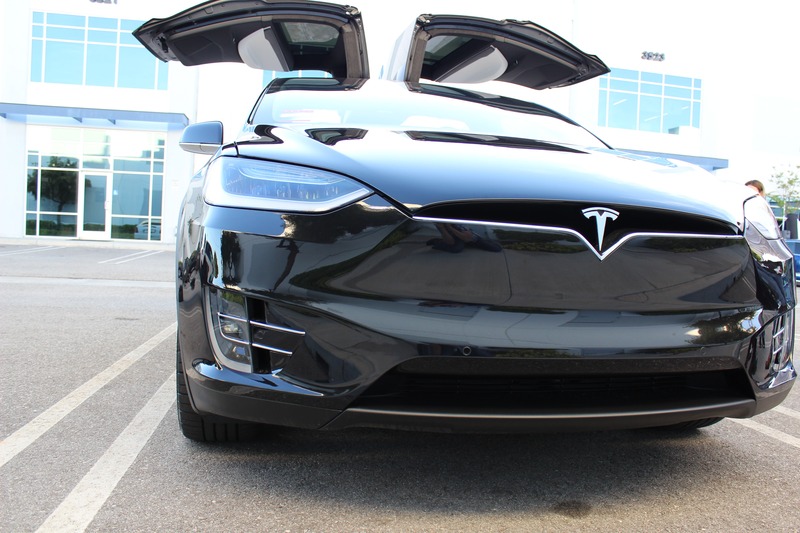 The Model X similarly demolishes any other SUV ever produced from 0–60 mph. And if you really get down to the acceleration that’s often most useful (0–30 mph), the situation gets even better for the X and the S.
By the way, ludicrous acceleration isn’t just about having fun (a ton of fun) — it also makes driving less stressful since it makes it easier for you to get into fast-moving traffic, enter a roundabout, etc. Autopilot is related to #1, but it’s also something extra that certainly deserves a spot in the race. Autopilot can dramatically (or in a very “no drama” way) reduce the stress of driving, the fatigue you feel after hours on the highway, and the chore that commuting has become in many regions of the US and the world. 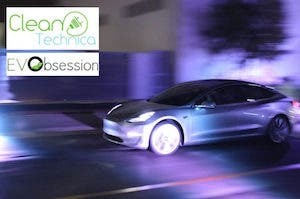 Our surveys have found that Autopilot is a hugely desired or even demanded feature for EV buyers and soon-to-be buyers. 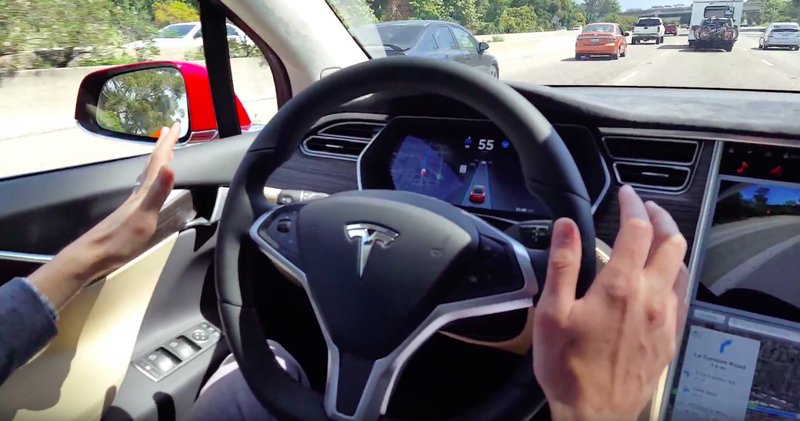 Even if you don’t care about driving a clean car and benefiting from an electric car’s many consumer advantages, though, it’s well documented that Tesla’s Autopilot is a league above the autonomous driving tech on other automakers’ top vehicles. Aside from Autopilot, ludicrous acceleration, and supreme safety, Tesla has several other tech advantages that could be priority #1 for some buyers. The gigantic navigation screen, music & radio options, software updates, smart suspension, self-presenting doors, falcon-wing doors, and Easter eggs pull in many tech enthusiasts who would never go for a Mercedes S-Class or BMW 7 Series. This isn’t #1 on my list, but it is definitely an attractive feature that makes it that much easier to justify spending cash on a mass-market Tesla supercar. We make a lot of reasoned arguments for purchasing electric cars (or other cleantech products), but the biggest draw for many people simply comes down to aesthetics — pretty sells. Tesla’s vehicles have impressed many with their beauty, and that may be the most important matter for a large portion of buyers. The story of the lady behind me in line to reserve a Model 3 perhaps best captures this point (19 minutes into the 3rd video in that article). Last year, while driving on a Southern California highway, she ended up behind a Tesla Model S. She was so impressed with the beautiful design of the sedan that she Googled “what’s the T car” when she got to work — basically, she didn’t have a clue what the car or company was, so was just going off of the T logo she saw on the back. She immediately found out it was a Tesla … and then found out it was way out of her price range. When she found out about the Model 3 from a Facebook post, she immediately decided she’d put down a reservation. Without even seeing the car (the Model 3 was going to be unveiled later in the evening), she was in line early in the morning on March 31 in Santa Monica to put down her $1,000 reservation. I wonder how many other people have been drawn to Tesla simply because of the superb styling. Supercharging isn’t really free, of course — it is rolled into the cost of a Tesla Model S or Model X. However, once you’ve purchased or leased one of these, there is no extra cash cost to using a Supercharging station. That effectively means you can drive across North America or all around Europe without spending $0.01 on electricity/fuel. Naturally, this is a huge attraction to people who love to travel (via car), who drive a lot for work or family reasons, who forget their house keys on the other coast, etc. No other vehicles on the market offer this. In my own personal ranking, this would probably be #1 or #2, but it is so obvious that it’s sometimes invisible and was one of the last items on this list to come to my mind. If you buy a Chevy Bolt, Nissan LEAF, or BMW i3, you can certainly see that purchase as a way to encourage GM, Nissan, or BMW to keep going with their electrification efforts, but for the idealists among us, there’s something very nice about supporting a company that is 100% focused on clean technology, climate action, and preventing oil wars. It’s the vision and altruistic intent that we love. If other automakers spun off subsidiaries that were 100% focused on electric cars, those subsidiaries could essentially have the same draw — yet another reason I think that’s what automakers should do — but there are no other car companies like this right now. Full disclosure: I own stock in TSLA. I think the above article explains why.